I have to admit I have never seen my children so excited for a review. We received a package of glow-in-the-dark Easter eggs from Eggloo Entertainment and as soon as I opened it the kids went crazy. They immediately wanted to hide the eggs and hunt for them. 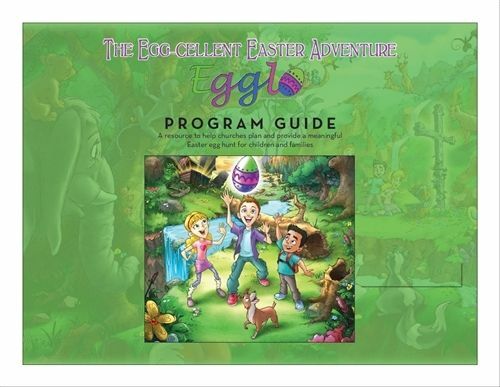 Included with the 12 Glow in the Dark Egglo Eggs, we also received The Egg-cellent Easter Adventure Book, the Egglo Treasures Scripture Scrolls, Egglo Bible Verse Stickers, and The Egglo Glow in the Dark Egg Hunt Event Curriculum. While these eggs are meant to be used for Easter, we got busy enjoying them now! What are the Egglo Glow-in-the-Dark Easter Eggs? 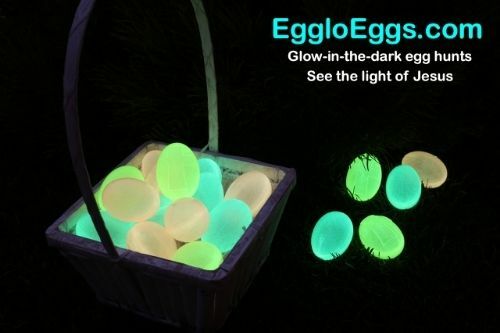 The whole premise of Egglo Entertainment is to help children see the true meaning of Easter through the glow-in-the-dark Easter eggs. 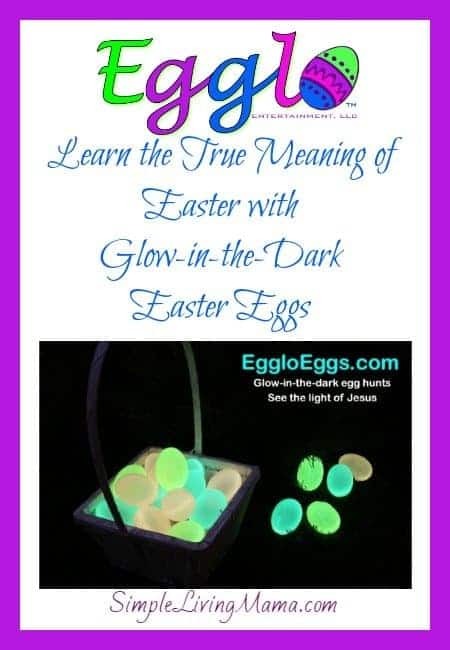 The eggs glow in the dark to show kids that Jesus is the light of the world. It’s a simple idea that gets the kids really excited! 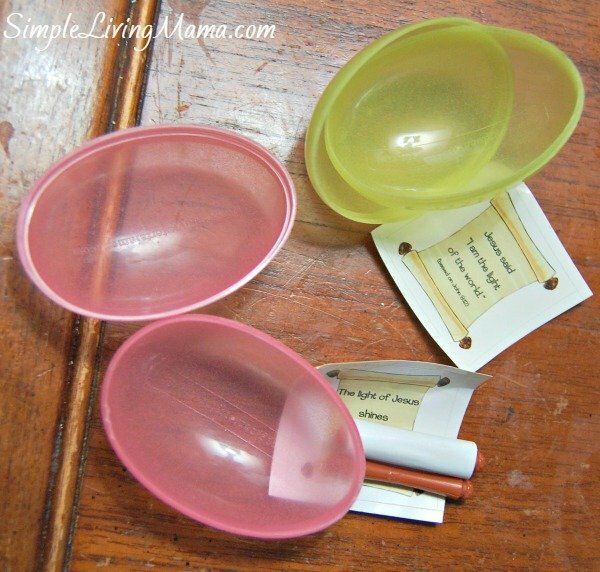 The Egglo Treasures Scripture Scrolls are tangible little scrolls you can place inside the Easter eggs. These Scriptures reinforce that Jesus is the light of the world, and also tell us why God sent Jesus to earth and what the whole purpose of Easter is all about. The Bible verse stickers do the same. 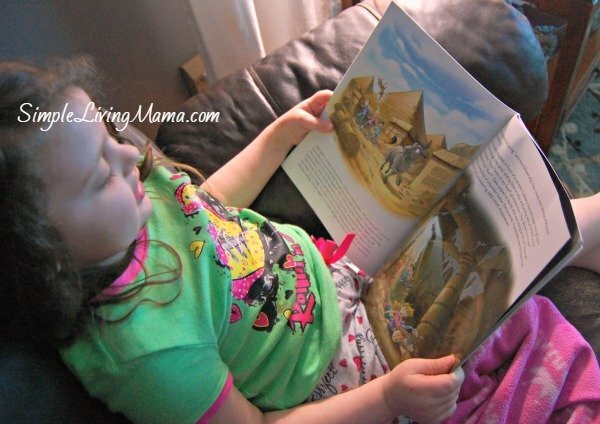 We also got to review The Egg-cellent Easter Adventure Book. 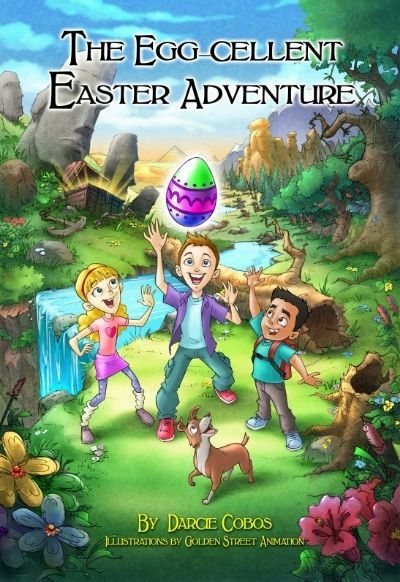 It’s an exciting story about three kids who go on an adventure with the glowing eggs to discover the true meaning of Easter. The Glow in the Dark Egg Hunt curriculum came to us as a download with loads of wonderful ideas for using the eggs with a group. There were decoration ideas and printables, snack ideas, and ideas for telling the Easter story to a group of kids. We began our own little at-home Easter egg hunt by reading The Egg-cellent Easter Adventure Book. The story was rather long, but it kept the attention of my three oldest children. The story followed three kids on a scavenger hunt. They were looking for a treasure chest with a glowing egg at each of their destinations. Each egg contained a Bible verse and a fun riddle that led them to another destination. I was actually riveted by this story, too! 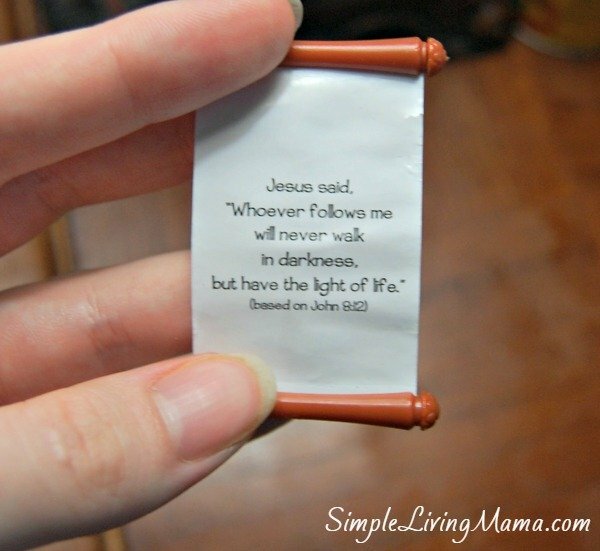 After we finished the story, I placed the Scripture scrolls in the glow-in-the-dark Easter eggs and the kids took turns hiding them around the house. Then they hunted for them in the dark. The eggs do have to “charge” before they will glow. We stuck ours on our windowsill for a day. After all of the eggs were found we sat around and read the scrolls and discussed what we learned from the book. Jesus is the light of the world! We loved the Egglo Eggs and their powerful message. The book was a wonderful tool to read before we had our own egg hunt. I think even creating our own little scavenger hunt would be such a fun idea! We definitely recommend Egglo to anyone who wants to share the true meaning of Easter and help kids have a memorable egg hunt that is Christ-centered!